About every 6 months or so, I announce to Becky my new favorite color. For a long time it was green, green, green and really it still is green but, since I must strive to amuse Becky, I decide to mix it up every now and then. And truthfully I'm not really refering to my 'favorite' color, I mean the one that has somehow caught my attention. And so it was that I picked up a grey magic marker at a collage class with Jill Cardinal about two weeks ago and it's been all gray, all the time. I just can't get enough of it. It is the color of shadow. And, of course, the color of our soon to be skies here in the Northwest. The color in my baby pictures, and of the silverware I eat with. "Yes Becky, gray is my new favorite color". To which she replies, "You mean light black?". And I am deeply amused. Image courtesy Pantone. 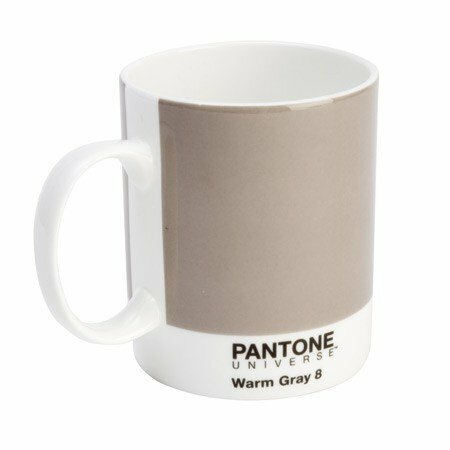 As a complete aside, I have been fascinated to watch the rise of the concept and the brand of Pantone. Before 1963 there was no Pantone color system. (What did those brides who needed their flowers matched to the color of the bridesmaid's shoes do?) The color of the year has only been around since 1999. And now you can even buy these. And click here should you like to read a little about the history of Pantone. And when you are done, you can ponder how it is that the colors of the world can be reduced to a mere 2,058 solid colors.